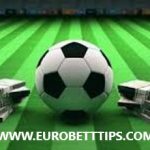 Euro Betting Tips Champions League.Dramatic win at Schalke for Man City in 10 players. Manchester City are “still not ready to fight for the latter stages” of the Champions League, said manager Pep Guardiola after his side staged a brilliant late comeback to beat Schalke in the first leg of their last-16 tie. England forward Raheem Sterling scored the decisive goal in the last minute of normal time – latching on to goalkeeper Ederson’s long kick and coolly slotting home. 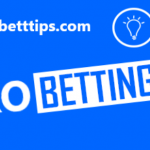 The Premier League champions came into the match as strong favourites and went in front on 18 minutes through Sergio Aguero. 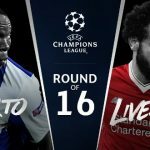 But the game swung in Schalke’s favour before half-time after a contentious VAR decision and two Nabil Bentaleb penalties. The first of Schalke’s spot-kicks came after the intervention of the VAR, who penalised City defender Nicolas Otamendi for handball when the ball struck his arm as he moved it behind his back. The second was given for a foul by Fernandinho on Salif Sane – the referee sticking with his decision after briefly consulting the VAR. After being booked for the handball, Otamendi was shown a second yellow card for a foul on Guido Burgstaller in the second half – meaning he will sit out the second leg, as will Fernandinho. With City heading for a surprise defeat, manager Pep Guardiola sent on former Schalke player Leroy Sane – and the Germany international curled home a free-kick from 30 yards out to level matters, before Sterling struck the winner. “It was a great result,” said Guardiola. “We gave them two penalties, we gave them a red card, and in this competition that is not too good. We are still not ready to fight for the latter stages, that is reality, but the result is good. While Phil Foden believes they can “definitely” win all four, fellow midfielder Kevin de Bruyne has suggested it would be “nearly impossible” and Guardiola said it was “silly” to be asked the question in February. City top the Premier League on goal difference – albeit having played a game more than Liverpool – and will face Swansea in the FA Cup quarter-finals. Their first chance of silverware comes in the Carabao Cup final against Chelsea on Sunday, but four days before that their Champions League hopes looked to be slipping away. City dominated the opening half an hour – with 70% possession – and Aguero’s goal came via a gift from goalkeeper Ralf Fahrmann, whose pass sold defender Sane short as David Silva nipped in and laid the ball off for his team-mate to finish. But despite falling behind and being reduced to 10 men, Guardiola’s side showed their togetherness and resolve by scoring twice late on and will now be heavy favourites to progress to the last eight. 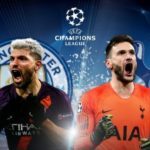 Renowned for their expansive, attractive style of play, City will take heart from knowing they can squeeze out victories in adversity, particularly in Europe’s elite club competition. Sane said: “It means a lot. I was a little bit sad for Schalke, because the atmosphere was amazing like it always is. Schalke did really well, the way they defended made it difficult. It seemed as though the Argentine was trying to tuck his arm behind his back, and Spanish referee Carlos del Cerro Grande initially awarded a corner. But after consultation with VAR Alejandro Hernandez – a discussion which took nearly three minutes – he pointed to the penalty spot, and former Tottenham midfielder Bentaleb converted. The second penalty decision was more straightforward for the referee as he penalised Fernandinho for holding – and Bentaleb scored once more. Schalke head coach Domenico Tedesco said: “We are obviously very disappointed by the result. We deserved more. 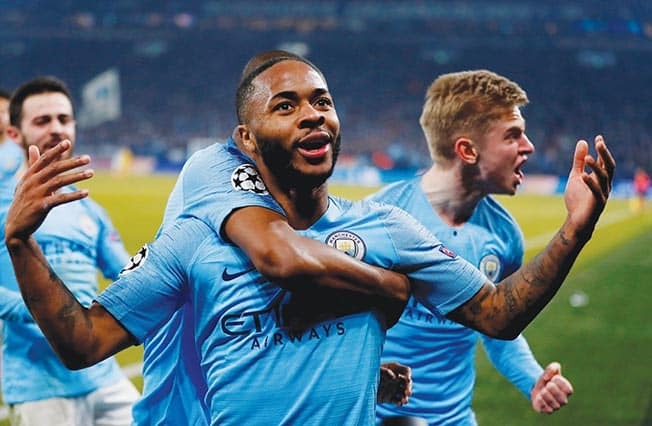 Sterling’s goal was Manchester City’s first 90th-minute winner in the Champions League since Kevin de Bruyne’s against Sevilla in October 2015. Defeat ended Schalke’s nine-game unbeaten home run in Europe (W6 D3), with their previous defeat in February 2016 against Shakhtar Donetsk. Aguero has scored 10 goals in his past seven appearances in all competitions, and is the top goalscorer in the top five European leagues in 2019 (11).